During the transitional period from the old blog and my change in circumstances that forced me to have some downtime from writing, I visited Brighton to see my fiancés best friend and her partner in Brighton. Id never been there before and thought it would just be the usual sort of British seaside town brimming with rock shops, amusements and novelty gifts, albeit with a more southern twang in the dialect. I usually despise being wrong but I must say I’m quite happy to say that I couldn’t have been more wrong about Brighton. When we arrived the weather was, in a word, horrific. I have never heard thunder like it and the rain was hitting the window so hard it was like a swarm of furious birds frantically scratching at the window to get at us as we tried to sleep. However we were blessed to wake up to beautiful blue skies and a heat that had the potential to burn my ridiculously sunshine shy skin to a level that can only be compared to a well-done baked potato. The combination of the amazing food that surrounded me during my trip combined with the crisp, blue sky and crystal clear seas left me with a lot of inspiration to come home with. 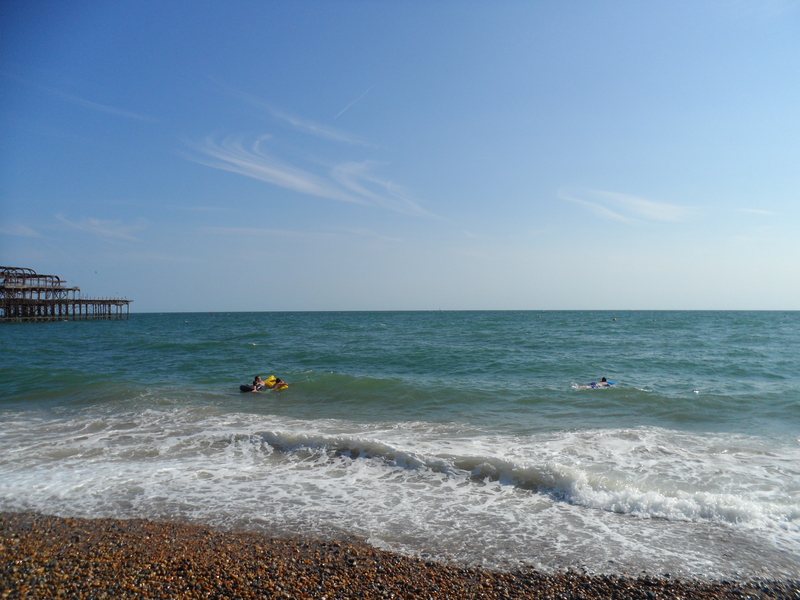 Summer in Brighton had taken me from someone who had a few ideas to someone who was ravenously clamouring to create….with a sweet tooth to satisfy. This recipe is the perfect fit for someone who wants to give their family a treat for a day or give themselves a treat for a few days! So we made the following recipe. 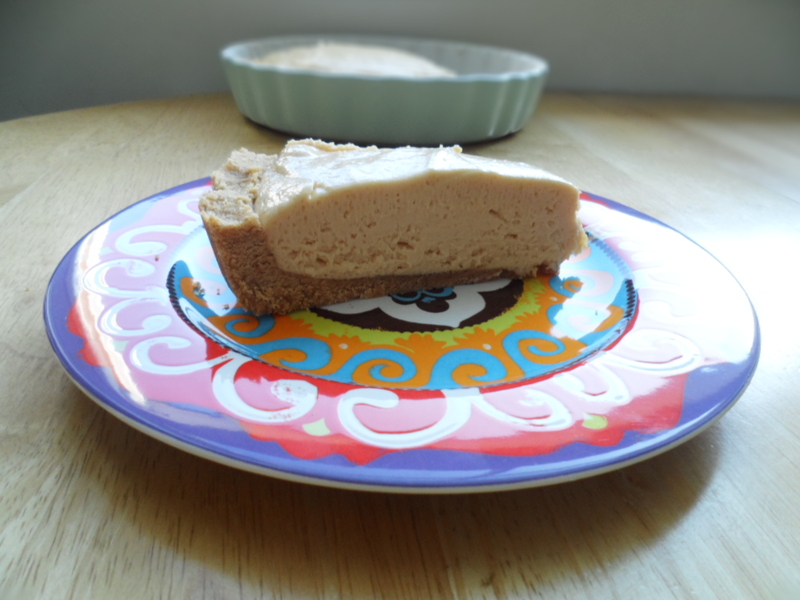 A peanut butter pie sounds a bit rich and chewy doesn’t it? Don’t worry you don’t just tip a jar of peanut butter into a flan case! See below for the recipe for this funky little number. 25 oat based biscuits (Finely crushed) but any plain biscuit will do! Tip: Preheat your oven at 170 degrees. In a food processor blitz the biscuits into a fine sandy texture, add the melted butter and whiz into a lumpy consistency. Ensuring all biscuits and butter and mixed together. Put the mix into a medium pie dish and cover the base and sides well. Bake for 5-7 minutes in the oven. Mix the peanut butter and cream cheese together until its smooth. Add the icing sugar and mix well until combined. Once this is done, add the cream to the peanut butter mix and stir through until again, well combined. Pour the filling into the base (preferably by now it has cooled) and spread evenly. Note – Always mix the ingredients for the filling separately and not at the same time to achieve the best consistency! This entry was posted in Uncategorized and tagged amazing, and, bake, basil, BBC, bbq, Bird, biscuit, blog, Brighton, brighton pier, britain, british, buck, but, butter, Cake, cheese, chef, chew, chips, choccywoccydoodah, chocolate, cream, dining, fish, fish and chips, flavor, flavour, Food, GB, great britain, gull, hand made, happy, heritage, heron gull, history, Holiday, homemade, hungry, hungry buck, made, make, no meat, peanut, peanut butter, pie, pier, Recipe, rock, seaside, smile, sugar, summer, treat, vacation, vegetarian. Bookmark the permalink.